Sirens wail! The fire truck is on its way! 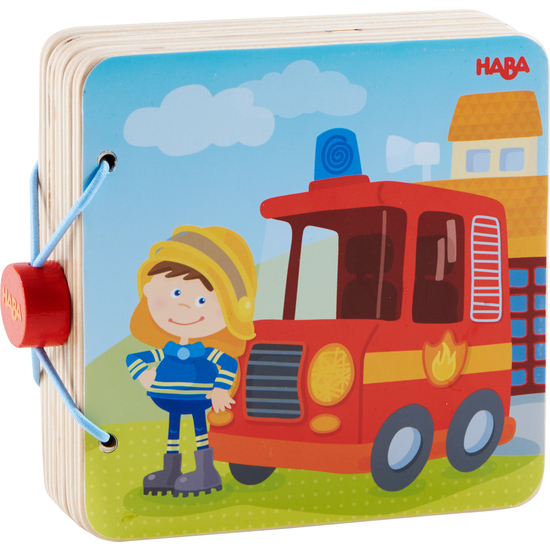 5 large, wooden pages take children along with the fire department to put out the fire.